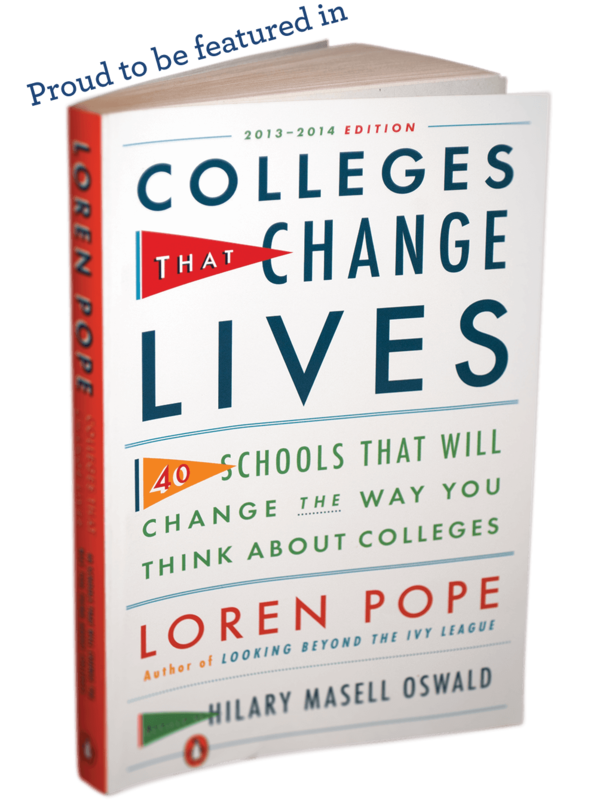 Colleges That Change Lives by Loren Pope, edited by Hilary Masell Oswald. 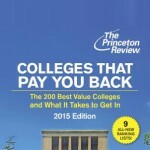 Princeton Review has come up with a list of 200 schools that will offer students the best value now and in the future. 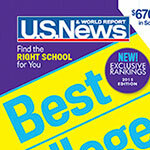 This brand new ranking discusses covering college costs, financial aid, and career outcomes. Allegheny is consistently recognized by the Princeton Review (with a perfect score in 2015!) 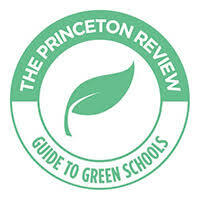 for demonstrating a strong commitment to sustainability in our academic offerings, campus infrastructure, activities and career preparation. 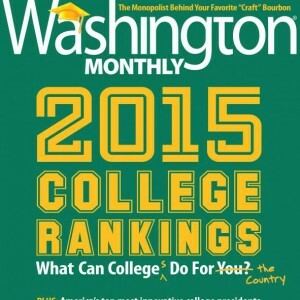 Washington Monthly ranks schools in three broad categories: Social Mobility (recruiting and graduating low-income students), Research (producing cutting-edge scholarship and PhDs), and Service (encouraging students to give something back to their country). The Peace Corps recognizes Allegheny among the Top 10 Small Colleges; Allegheny has 14 alumni currently volunteering worldwide. 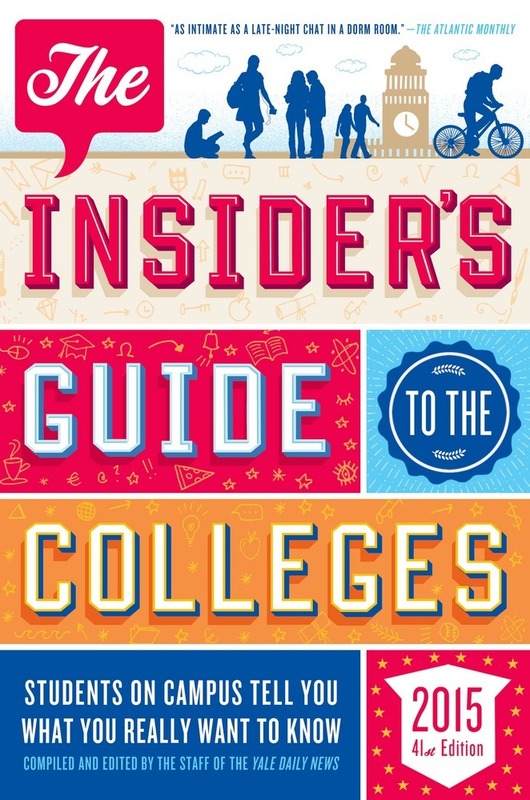 In Reform Judaism’s annual Guide to College Life, Allegheny is named one of the 20 “Small and Mighty Campuses of Excellence”. 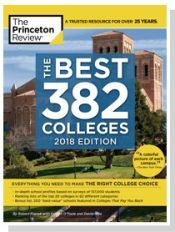 Allegheny College was ranked among the Top 30 Colleges in Pennsylvania with the best lifetime return on investment by AffordableCollegesOnline.org. Forbes places Allegheny among “America’s Top Colleges,” in rankings prepared for Forbes by the Center for College Affordability and Productivity. 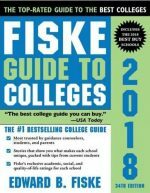 Forbes’ annual rankings focus on quality of teaching, graduation rates, low levels of debt and graduates’ career prospects.